Understanding switch types is very important when developing an electronic circuit. 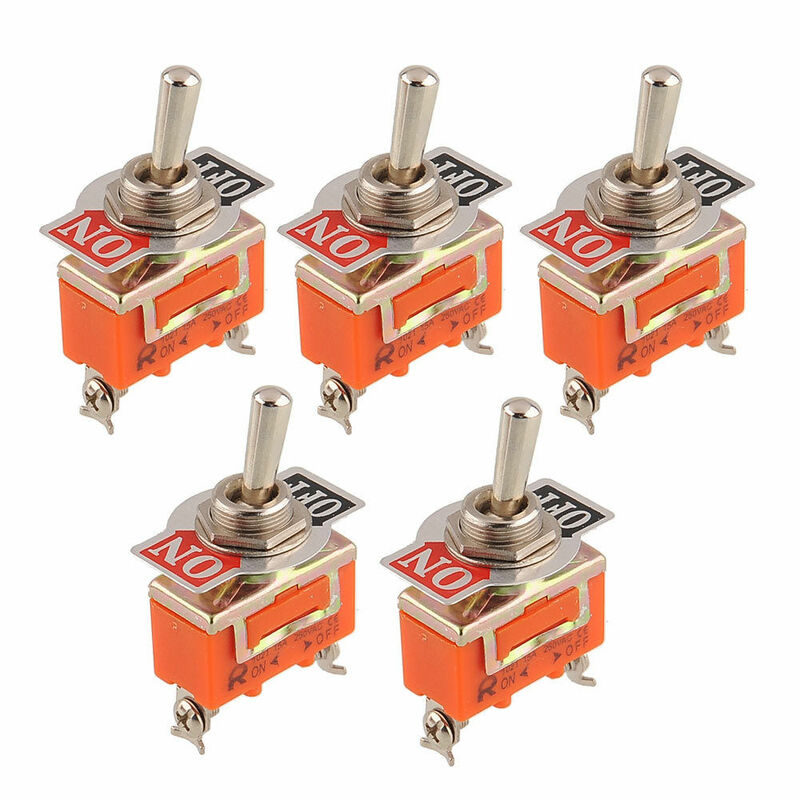 Below is just several example of switches (not a complete list) classified by pole(s) and throw(s). 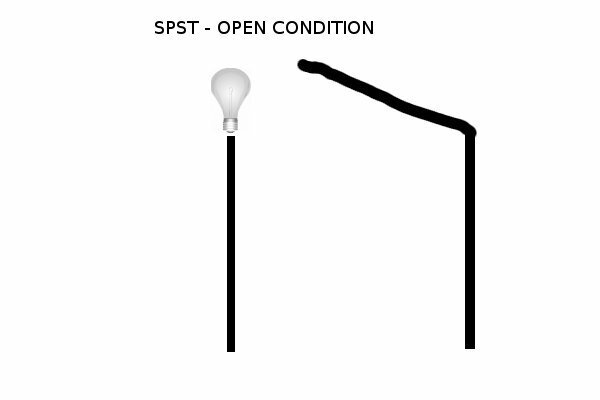 SPST stands for single pole single throw. Pole means how many circuit(s), a switch can control. Throw means how many conducting position for a switch. 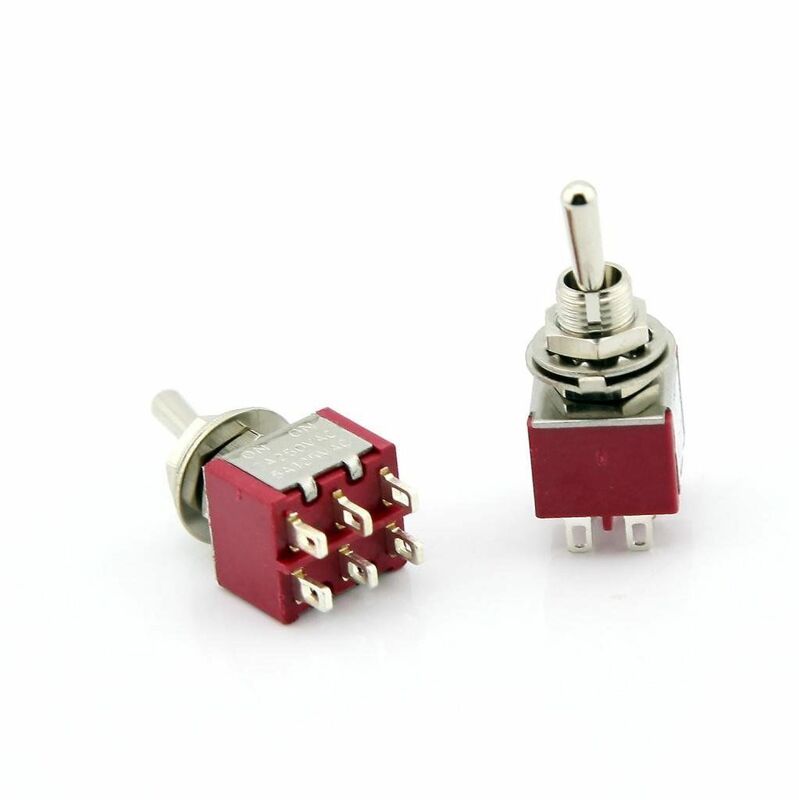 This one is the basic form of a switch, where this switch has only 2 terminals. 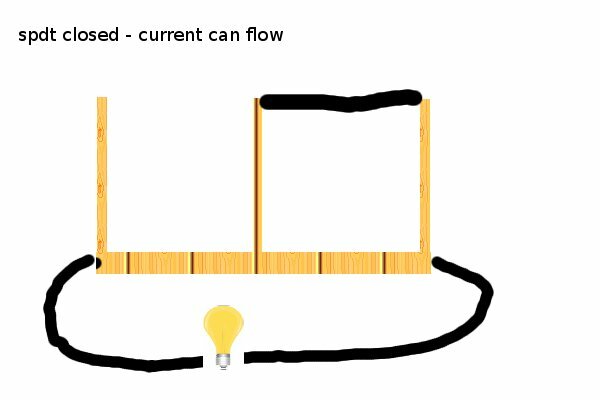 When the throw is closed means current can flow, meanwhile when the throw is open, current is break. 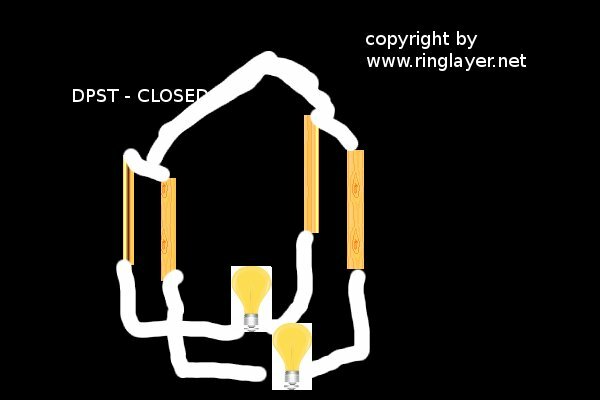 For example here we have a gate when the gate is open, means the electrical flow is break. 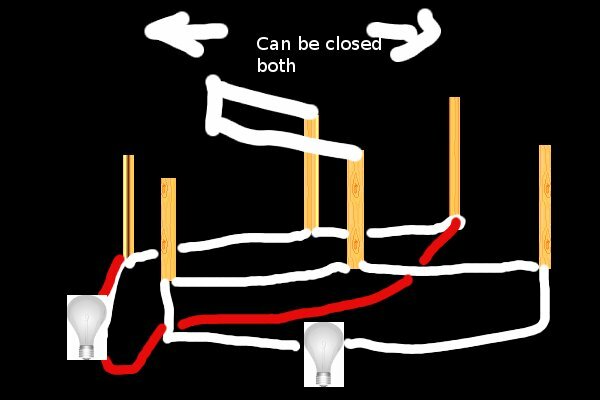 When the gate is closed means current can flow and the lamp is on. 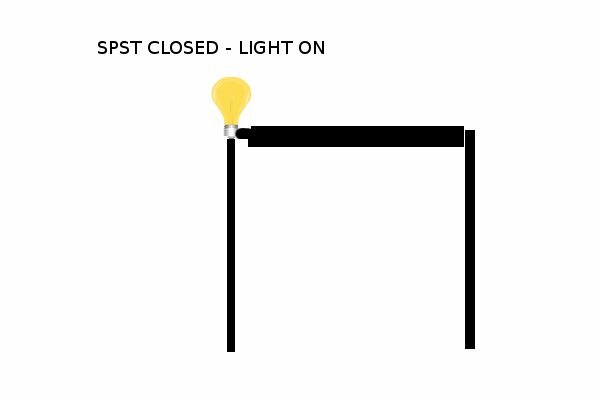 Since this only has 1 circuit (the lamp in this case), and only 1 throw (only 1 conducting position that will turn the light on, so this switch is called SPST). SPDT stands for single pole double throw. 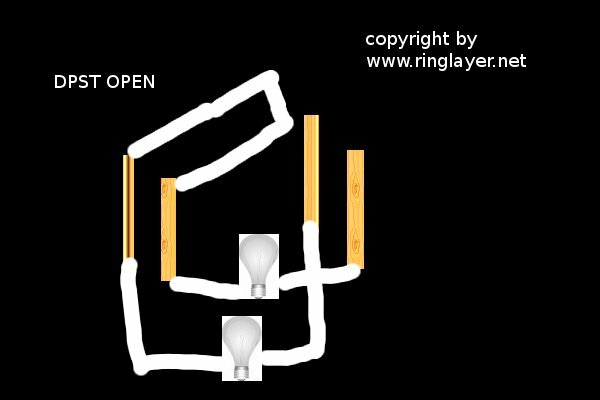 As we can see from the symbol, a single pole double throw switch has 3 terminals. 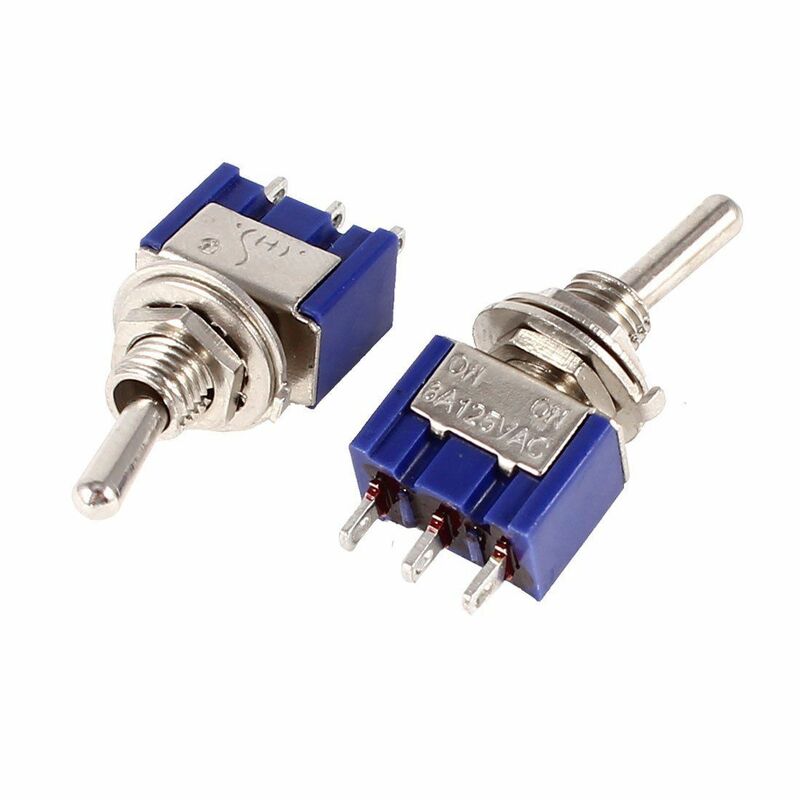 This one is similar to knife switch model, where the condition is open (current can not flow). The throw can be connected whether on right or left terminal. DPST stands for double pole single throw. In order to understand about double pole single throw, take a look on below example. 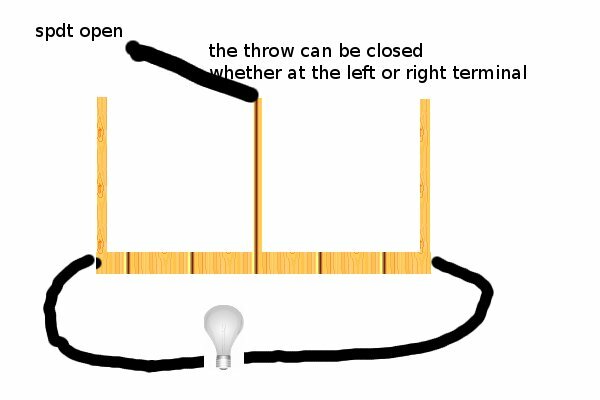 in dpst , the throw only have one possible conducting, meanwhile it has 2 separate poles. 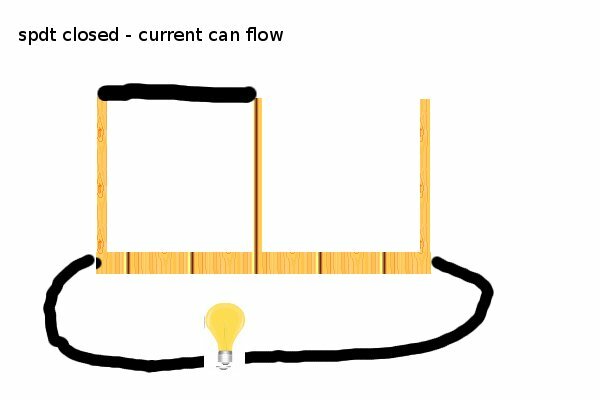 When the condition is closed the current can flow to light both 2 circuits. The while lines are any conducting materials. DPDT stands for double pole double throw. This one has 2 poles and 2 throws. This one has 6 terminal(s). I hope this guide can be a light for those who wanted to understand more about switching in order to do the “Art of controlling the electron”. This entry was posted in DPDT, DPST, Electronic, Electronic Circuit, SPDT, SPST, Switch on May 27, 2015 by sw0rdm4n.